Discover the perfect combination of power, efficiency and quietness. The available 2.7L EcoBoost engine is ready for wherever the road takes you, delivering over 335 HP and 380 lb.-ft. of torque. In creating this engine, our engineers not only improved fuel economy, they also designed it to be remarkably quiet. The result? 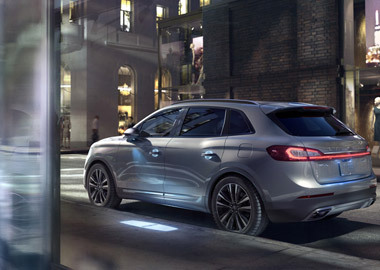 An EPA-estimated highway fuel economy of 26 mpg (city 17 mpg) from the the quietest Lincoln MKX engine ever. Shortcuts don’t apply. An impressively energetic driving performance is matched by exceptional fuel economy. The 2016 Lincoln MKX delivers an EPA-estimated rating of 17 city mpg and 26 highway mpg. And unlike some of the competition, premium fuel is not required, which could help you save even more at the gas pump. For a dynamic and smooth shifting experience, Lincoln MKX features transmission controls on the center instrument panel. Pressing the “S” button puts you in the Sport mode for an enhanced performance feel. You can enjoy a more engaging, sporty experience by using the paddle shifters located on the steering wheel. This streamlined approach frees up usable space between the driver and front passenger seats, and enhances the clean, uncluttered appearance that characterizes the interior design. 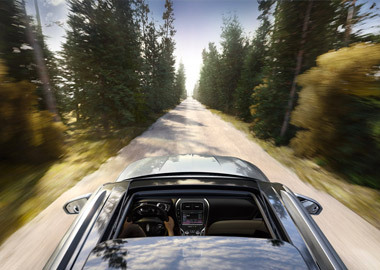 Lincoln Drive Control with Continuously Controlled Damping (CCD) takes Lincoln luxury driving to another level. An advanced suite of sensors constantly monitors the vehicle’s suspension, body movement, steering and braking. Using the data from these sensors, the system adjusts the suspension damping in milliseconds, faster than you can blink. Select your preferred driving mode — Comfort, Normal or Sport — to match your mood of the moment, from a relaxing, Zen-like vibe to a spirited, sporty feel. Autofolding sideview mirrors behave like your dog’s ears—they perk up when you’re back in sight. As you approach the vehicle holding the key fob, they automatically light up to greet you and illuminate the signature Lincoln welcome mat on the ground. Once you’re in the vehicle with the doors closed and, the mirrors automatically unfold. And when you reach your destination, they automatically fold back in after you step out and lock the door. Now, it’s easy to breathe in the beauty of the outside world. The panoramic Vista Roof spans both rows of seating, allowing for abundant sunshine and cool breezes. The front roof panel is powered for easy opening and closing, and includes a power sunshade to help keep the interior cool and comfortable on warmer days. Experience seating draped in luxury. Bridge of Weir Deepsoft leather-trimmed seating surfaces feature 100 percent unembossed leather, highlighting the leather’s natural beauty and making each seating surface unique. The chromium-free, organic tanning method produces environmentally sustainable by-products and creates one of the finest leathers available on vehicles today. Create an inviting, strikingly luxe environment when you opt for the genuine wood trim in high-gloss Brown Walnut Swirl or Espresso Ash Swirl open-pore wood. These unique wood trims further embellish the center console and door appliqués. The thrill of hearing it live, from the comfort of your cabin. Designers created the Revel Audio System aims to reproduce the emotion and sound of a live-music experience. The details? 19 speakers on the available Revel Ultima (and 13 on the Revel system) designed with point source architecture for precise imaging. Three unique sound modes—Stereo, Audio and Onstage—let you customize your listening experience. Active noise control enhances overall cabin sound quality by canceling out unwanted noises while enhancing desired sound to help provide a more pleasant driving experience. Rear outboard inflatable safety belts featuring inflatable airbags help distribute crash force energy across more of the torso than a traditional safety belt. This can help reduce the risk of injury while providing support to the head and neck. In the event of a frontal or side crash, inflatable safety belts hold the passenger in the appropriate seating position, helping to reduce risk of injury. These safety belts are also compatible with child-safety seats.